UFC 131 is heading back to Canada this Saturday, June 11th. The UFC recently held UFC 129 in the Rogers Centre in Toronto, Ontario on April 30th, 2011, and it ended up being the largest UFC event in North American history. UFC 131 won’t be quite a large, as it is taking place at the smaller Rogers Arena in Vancouver, British Columbia, but it will be another exciting night of MMA. The main event was originally scheduled to be a match between Junior Dos Santos and Brock Lesnar, the two coaches of The Ultimate Fighter 13. Unfortunately, Lesnar has suffered from a reoccurring bout of diverticulitis, and had to withdraw from the fight. Now the main event for UFC 131 will be a Heavyweight bout between Junior Dos Santos and Shane Carwin. The winner of this fight will have a title shot against current UFC Heavyweight Champion Cain Velasquez. Many of the fights on this card are set-up fights that will provide the winner a shot at the championship in their weight class. Lets look at what UFC President Dana White has put together for the main card at UFC 131 Dos Santos vs Carwin. Junior Dos Santos began his professional MMA career in Brazil at the age of 21. He complied a 6-1 record and then signed on with the UFC. Since joining the UFC, he is undefeated at 6-0, and has worked his way up the ranks as a top contender. Dos Santos is a brown belt in Brazilian Jiu-Jitsu and is very strong. He is one of the top strikers in the UFC, and eight of his 12 wins have come by KO/TKO. He is a very effective boxer, and will stand toe to toe and look for a knockout punch or knee to finish the fight early. He is a great counter puncher, has a solid uppercut, and should be able to use his quickness to his advantage. His striking defense is good but not great. He does not typically attempt takedowns on his opponents, and is very good at avoiding being taken down himself. Dos Santos should have better endurance and stamina which will benefit him if he can get out of the first round, but do not look for this fight to go the distance. Shane Carwin is a couple of inches shorter than Dos Santos, but will probably outweight Dos Santos by almost 30 pounds at fight time. Carwin has abnormally long monkey arms that will give him the reach advantage by a couple of inches. He was a wrestler in college, and was also a two-time Division II football All-American. He didn’t start his professional MMA career until the age of 30, however, he won his first 12 fights all in the first round! He ended up getting a shot at the UFC Heavyweight title against Brock Lesnar. After dominating the first round, Carwin gassed and got submitted in the second round, which gave him his first career loss. Carwin is a purple belt in Brazilian Jiu-Jitsu, and has fists of steel. He can easily knock out his opponent with one good punch, and has won 7 of his 12 fights by KO/TKO. He is determined, and eager to get back to his winning ways. Carwin’s striking defense is equal to Dos Santos, but although he is an accomplished wrestler, his takedown defense is not as good as it should be. Fortunately, neither fighter typically looks to take down their opponent. Carwin’s endurance will come into question, especially if the fight makes it to the third round. Carwin and Dos Santos have very similar fighting styles, and I think whoever lands the heavy punches more effectively will win. Whoever wins this fight will have an opportunity to fight for the UFC Heavyweight Title against Cain Velasquez. 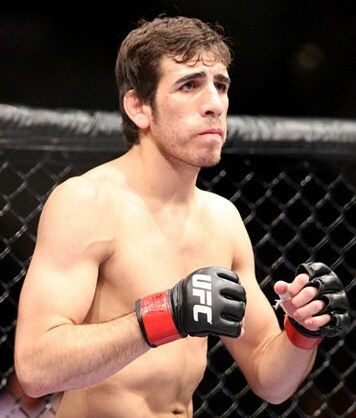 Kenny Florian was one of the first fighters that got me interested in MMA and the UFC. 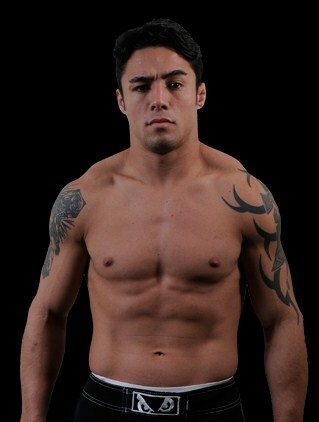 He was on the original ‘The Ultimate Fighter’, and fought in the finale. Florian was a Division I soccer player for Boston College before choosing a career in MMA. He is a 2nd degree black belt in Brazilian Jiu-Jitsu, and has some of the deadliest elbows in the business. He has fought in three different weight classes; middleweight, welterweight, and lightweight. This will be his debut fight at featherweight, and Florian will be the first UFC fighter to fight in four different weight classes. He has fought for the UFC Lightweight Championship twice, but lost both times. Florian is a real student of the game, and works very hard to constantly improve his skills both physically and mentally. He is well-rounded on offense, fights pretty good on his back, and has 7 submission wins by utilizing one of his favorite techniques, the rear naked choke. He is 8-2 over his last 10 fights, and has finished 7 of those 8 early. Florian will probably need to win the fight on his feet, as Nunes is very difficult to take down. Only 4 of his 20 fights have gone the distance, and he has lost the decision in 3 of the 4. His striking defense is good, but his takedown defense could be much better. Florian has a lot of heart and will do whatever he can to win. Diego Nunes began his professional MMA career fighting in Brazil at age 22. He won his first 13 fights, and since the merger of the WEC and UFC, has moved up quickly in the featherweight rankings. He has won his last 3 fights. Nunes started training at age 13, and started competing in amateur Muay Thai and boxing matches at age 17. Nunes has great standup skills, and has some of the fastest hands in the UFC. He is also a skilled kickboxer, and a purple belt in Brazilian Jiu-Jutsu. He has very effective leg kicks and uses his knees well in the clinch. He has 6 wins by submission and 5 by KO/TKO, but his last 6 fights have all ended by decision. His favorite technique is the guillotine. Nunes has okay striking defense, and good takedown defense. Giving up 4 inches in height to Florian, Nunes will have to use his kickboxing skills and hand speed in order to win this fight. Nunes is driven, and has come a long way in order to get where he is today. With both fighters being so well-rounded, this could be a very technical fight that could end up in a submission or a decision. The winner of this fight should have an opportunity to fight Jose Aldo for the Featherweight Championship. You don’t really know what to expect from Jon Olav Einamo since this will be his first fight in the UFC, and his first MMA fight in over 5 years. In addition to MMA, Einamo has won the Gold Medal at the Abu Dhabi Combat Club Submission Wrestling World Championship in 2003. In addition to his world-class grappling, he is also a black belt in Brazilian Jiu-Jitsu. Einamo is 7-1, with most of his fights ending early via KO/TKO, or armbar. His only loss was by way of decision, so I would look for Einamo to try and end this fight early. Dave Herman started fighting professionally just after he turned 22, and has been very busy. Herman has amassed a 20-2 record in just over 4 years (one of his losses coming by way of DQ). Herman wrestled at Indiana University, but says he didn’t really start training for MMA fights until his first loss in 2009. Up until then, he was 15-0. Herman has won 16 of his fights by way of punches, and with his limited MMA training, I think this is his best opportunity to win again. Herman has had only one of his 22 fights go the distance. This will be his UFC debut as well, and both fighters will be looking to impress Dana White. I would look for this fight to end early with either Einamo or Herman landing a big blow. Demian Maia began his martial arts very young, studying Judo, then Kung Fu and Karate. It wasn’t until he was 19 that he started studying Brazilian Jiu-Jitsu. He had his first professional MMA bout at age 24, and won his first 11 fights in a row. He is now a 4th degree black belt in Brazilian Jiu-Jutsu. His favorite technique is to submit his opponent without getting hurt by them. His last 4 fights have ended in decision. His only loss in those 4 fights was against Anderson Silva when he fought for the UFC Middleweight Championship in April 2010. Maia will not overpower you or knock you out, but is a great tactician, and will take you down and put you in compromising positions. He has won multiple grappling world championships and is one of the best grapplers in the UFC. He has been working on his standup, which helps set up his takedowns. Maia has good striking defense and has only been knocked out once. He also has decent takedown defense. If he does get taken down, he has great guard and works well from his back. Maia is a submission expert, so look for him to try and win submission of the night with this fight. Mark Munoz was a Division 1 National Wrestling Champion at Oklahoma State University. Although wrestling is his favorite technique, Munoz is a purple belt in Brazilian Jiu-Jitsu, skilled in Muay Thai, and has won 6 of his 10 fights by KO/TKO due to punches. He has very good ground and pound, and has dynamite in his hands. He is unbelievably strong for a middleweight, and is typically an aggressive fighter. He didn’t start fighting MMA professionally until the age of 29, and is only 4 years into his MMA career. He won his first 5 fights, and is 5-1 since dropping from light heavyweight to middleweight in 2009. Munoz has also won his last 2 fights. He has good striking defense but only average takedown defense, which should be better considering his wrestling background. He might want to stay on his feet to try and win this fight, but if he does get Maia on the ground, he better be prepared to defend multiple submission attempts. Donald Cerrone had his first professional fight just before his 23rd birthday. Prior to fighting professionally, Cerrone was a bull rider. At 6’0″ tall, he is one of the tallest lightweights around, and he uses that length well with his boxing, Muay Thai, and submissions. He has won 12 of his 14 fights by way of submission. He likes to throw the straight right, but has never won or lost by KO/TKO. He started his career by winning his first 9 fights, and has won his last 3, including his first UFC fight this last February. Cerrone is a successful boxer, but does not have knock out power. He is also successful at defending strikes, but needs to improve his takedown defense to take his talent to the next level. All 3 of his career losses were fighting for the WEC Lightweight Championship. Since the WEC merged with the UFC, Cerrone now wants his chance to fight for the UFC Lightweight Championship, and a win in this fight will help him get there. Vagner Rocha does not have a lot of experience, but he is getting an opportunity of a lifetime with his first UFC lightweight fight against a top contender. Rocha has only been fighting professionally for a little over 2 years. Rocha is a black belt in Brazilian Jiu-Jitsu, and 4 of his 6 wins have come by submission. Rocha says he wants to build a legacy and be remembered, so now is his time to start. I have a feeling he will come out strong and look to make a statement early. If Cerrone can withstand Rocha early, his experience should enable him to persevere in the end. Either way, I look for this fight to end by submission. ~ by Troy Erickson Realtor on June 10, 2011.